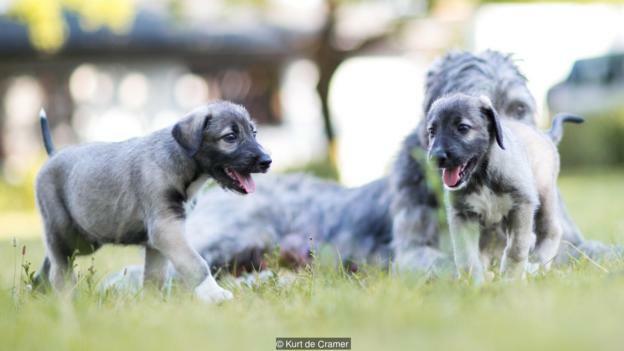 It turns out that identical twins are only relatively common among humans and, bizarrely, one species of armadillo. 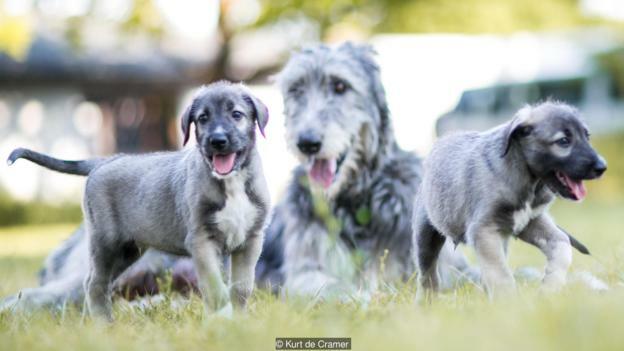 That’s why the world has been so amazed by these photographs of Cullen and Romulus, two wolfhounds born in South Africa who are the first EVER recorded identical twin puppies. Kurt de Cramer, a vet in Rant en Dal Animal Hospital in Mogale City, was treating their pregnant mother who appeared in distress as she gave birth, the BBC reports. As he examined her, he noticed an unusual bulge by her uterus which he thought at first was excess fluid. Investigating further, he was stunned to find not one but two foetuses attached to the same placenta. 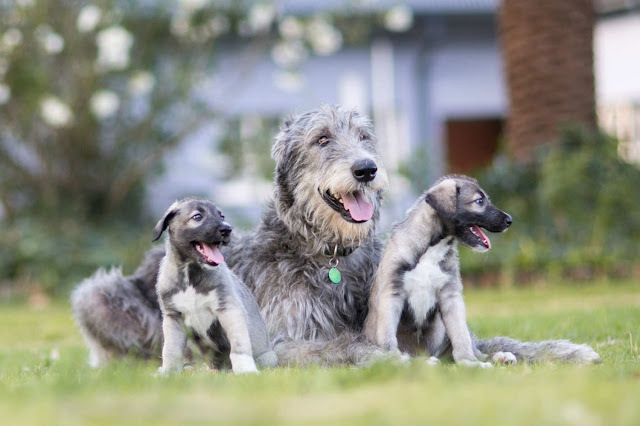 He delivered another five puppies, each with their own placenta as expected. But after that was all done, he had time to marvel at the identical brothers. He couldn’t be sure they were mono-zygotic (from one egg), so called in the help of scientists including Carolynne Joone, who took blood samples. 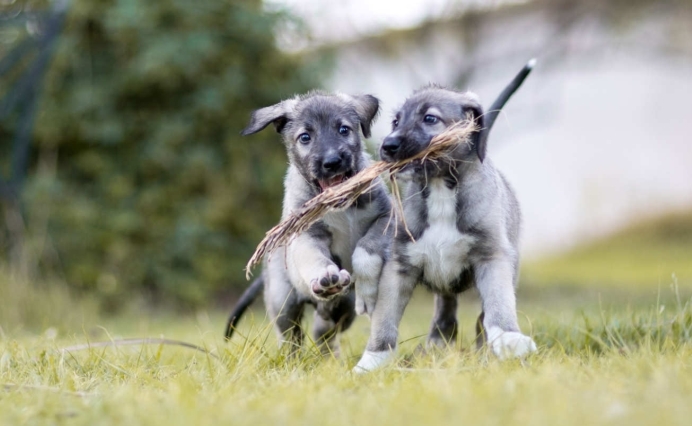 Tests confirmed their suspicions, and the puppies became the first known case of identical twins. 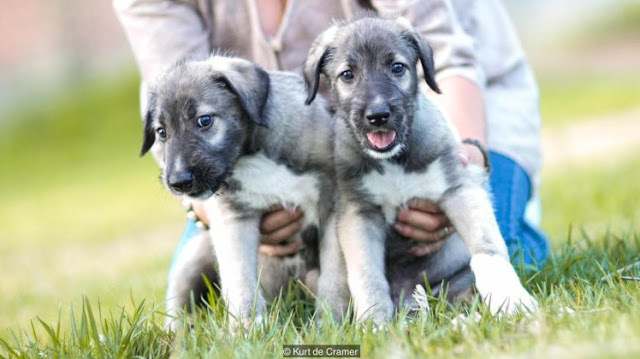 Before then, it wasn’t even confirmed that dogs could have identical twins. Responses to "A Dog Has Just Given Birth to the World's First Identical Twin Puppies "